A circular recently issued by the Ministry of Finance guiding the corporate income tax regime helps simplify tax payments for businesses, an official said. 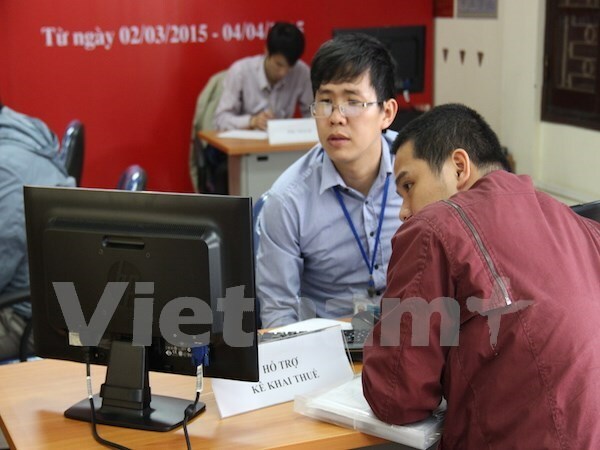 During a press briefing on August 10, Nguyen Quy Trung from the General Department of Taxation said thanks to Circular 96/2015/TT-BTC, which came into force on August 6, businesses will save at least 14 hours each year in taxation procedures. Hoang Thi Lan Anh, also from the department, highlighted the sector’s administrative procedure reform needs to be in line with international practices, saying it is a must for Vietnam to join the global playground. The reform also contributes to improving the management of taxation, according to the department. A number of other measures have been devised by the department to accelerate the facilitation of taxation procedures this year, including applying information and technology in tax management, developing a national database of tax payers and strengthening its supervision and monitoring of taxation process.